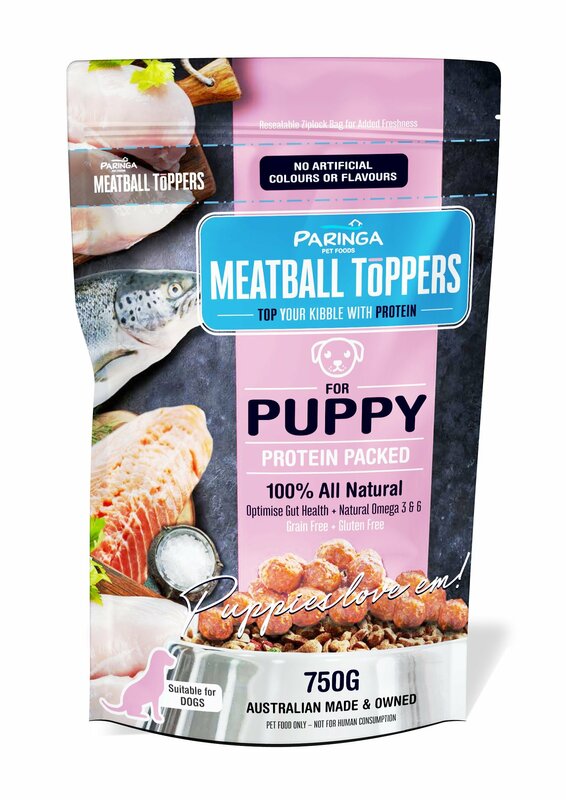 Gently steamed to lock in the natural goods, Paringa Meatball Toppers are a great kibble alternative. Protein packed and easy to use. Just pour from the resealable bag onto your dogs kibble for a healthy natural boost! Treat your puppy to the goodness of freshly cooked meat. Paringa Meatball Toppers are 100% All Natural. Protein packed! Made with fresh chicken and Tasmanian salmon.